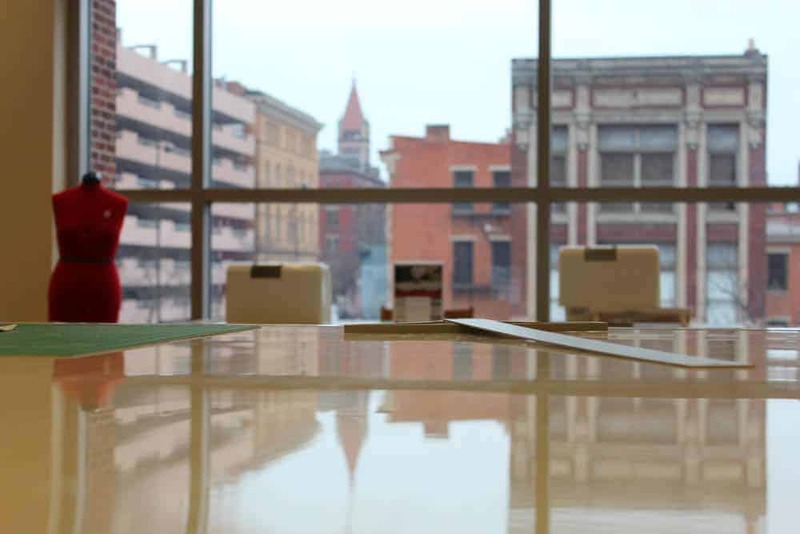 Our Cincinnati Public Library is an award winning library system, recognized for their service to the community. 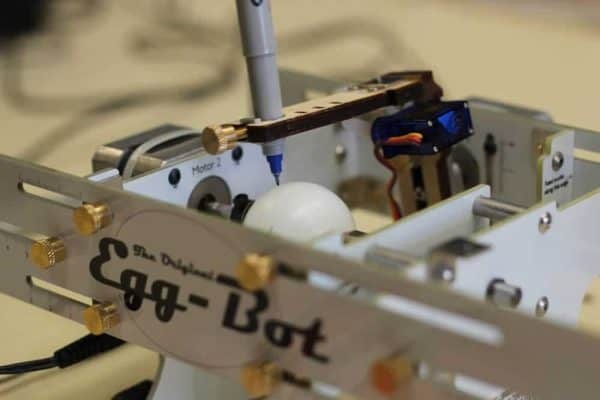 Just when you think it can’t get any better they go and add something like this – MakerSpace. 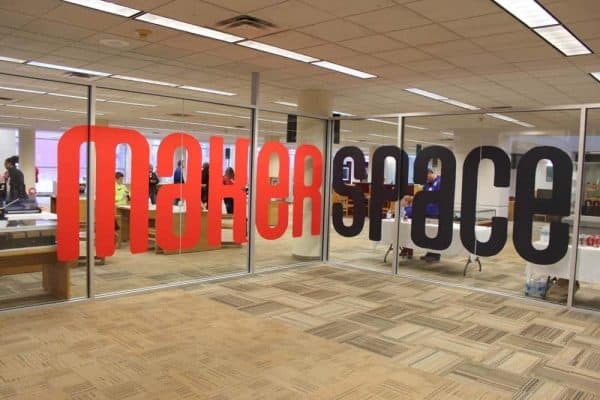 MakerSpace is a new addition, located at the main branch of the Public Library of Cincinnati and Hamilton County. It’s different from anything I’ve ever seen, especially at a library. 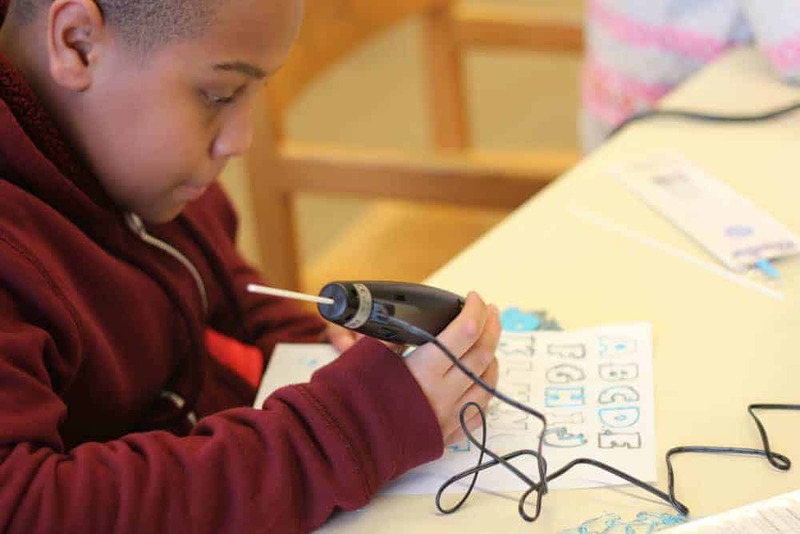 MakerSpace is a place where people can come to create. It’s a space that’s full of incredible tools – software and equipment – that is free to use. What is a MakerSpace? The library’s site says it’s “a shared workspace where people create collaboratively” and that seems pretty accurate when you look at what they’ve created here. Their goal is to provide “an opportunity for all skill levels to learn, collaborate, and be a maker.” And, again, they’re pretty on point with that one too as they will be having classes and staff on hand at MakerSpace. It’s a HUGE room (I’ve read 9,000 sq. ft.) on the second floor of the downtown branch. It’s a shared workspace, full of equipment and software that is free for public use. And this is no ordinary equipment. I’m not talking about basic home computers and printers here. This is some cutting edge stuff! What could you make with a 3D printer? Just about anything that will fit – that’s what! Need to re-create your little Fido figurine? Bring it in and put it on the machine and watch the printer re-create the piece. Totally amazing! You can even design your own image on TinkerCAD or print off one of the pre-designed objects from Thingaverse. Seeing the 3D printers in action (yes, there’s more than one) is worth the trip, even if you don’t do anything else. 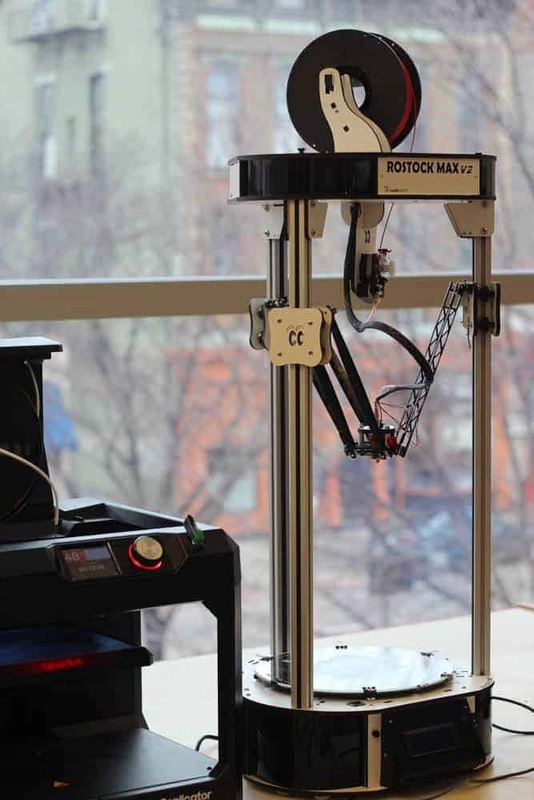 Get more info on the 3D printers on the library’s site when you click here. The printers, like all equipment in the MakerSpace, are free to use. You can bring in your own materials (must be approved by a staff member before you begin) or you can purchase materials at the MakerSpace. The price of materials is soooo cheap – much less than you’d think. For instance, the bobbin for the sewing machines is 10¢. You can buy a kit to make a tote bag for $5. The use of the MakerBot (3D printing) costs 10¢ per gram for most colors. I don’t even think you could buy those supplies yourself at the prices they’re charging. 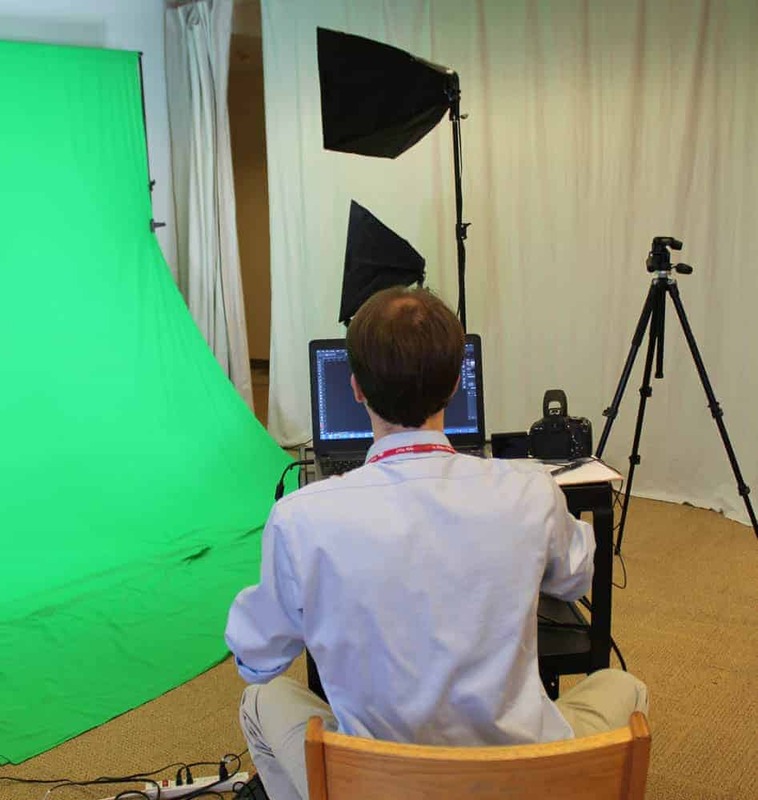 Do you have a project that could use a little Green Screen action? Head over to the Video and Photography space and use the professional lighting, backdrops, and the DSLR cameras to take your pictures. Or maybe you have a product to photograph and you’d like to use their lightbox? It’s all there. And it’s all amazing! Use of the cameras is free. Bring your own blank media such as a flash drive, CD/DVD, or a portable device with storage to save your media. You can also simply upload your media online. Forgot to bring yours? They do have flash drives available for purchase (2GB flash drive: $5.00 each) and you can print your photos out for 25¢ each. Have a sound track or a podcast you’d like to record? 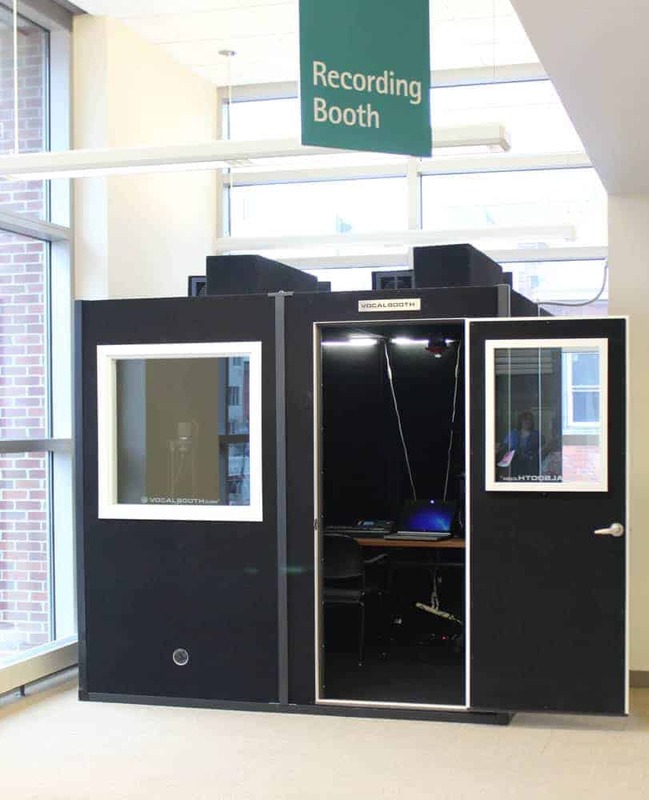 Hop inside the Recording Booth and get to work! You can make reservations for all of the equipment. You can reserve anything for one hour online (and if you need more time and the spots are open, you can put in a request to extend your time in person). You can make your reservations online here (although I must add that the page does not appear to be ready for the MakerSpace reservations at the time of this post). I am still in awe of some of the things I’ll be able to make at MakerSpace. Need a vinyl banner or some window clings or a fine art poster? Step on up to the Vinyl Printer and Cutter station. You can bring in your own design (saved as one of the following formats: pdf, svg, eps, or tiff) or create your designs there (see info on Adobe suite below). 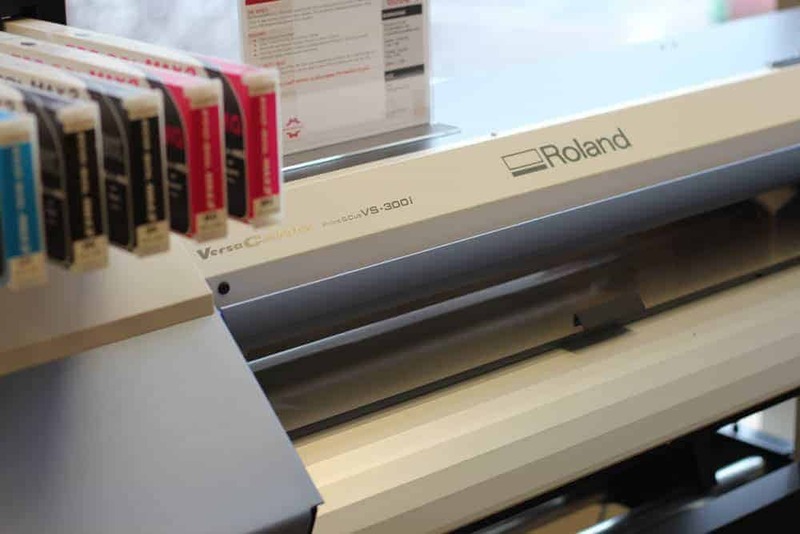 You’re able to print on multiple types of media, including but not limited to: vinyl, banner vinyl, cardstock, paper, heat transfer and canvas. 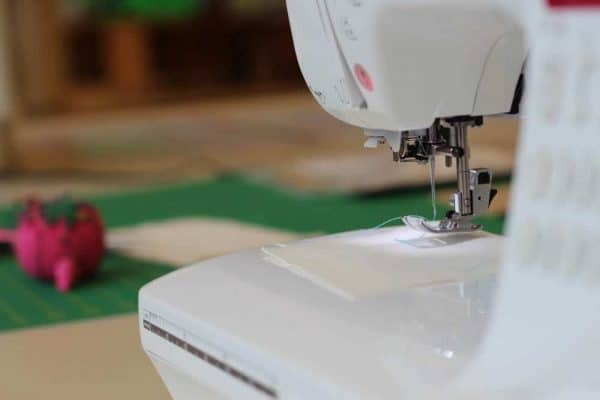 Again, the machine is free to use but you do have to supply your own materials (need to be approved before operating machinery) or buy from the library. For this machine, they do have vinyl in stock ($1.00 per linear foot with a 1 foot minimum). Just think about what you could make with the laser cutter and engraver! 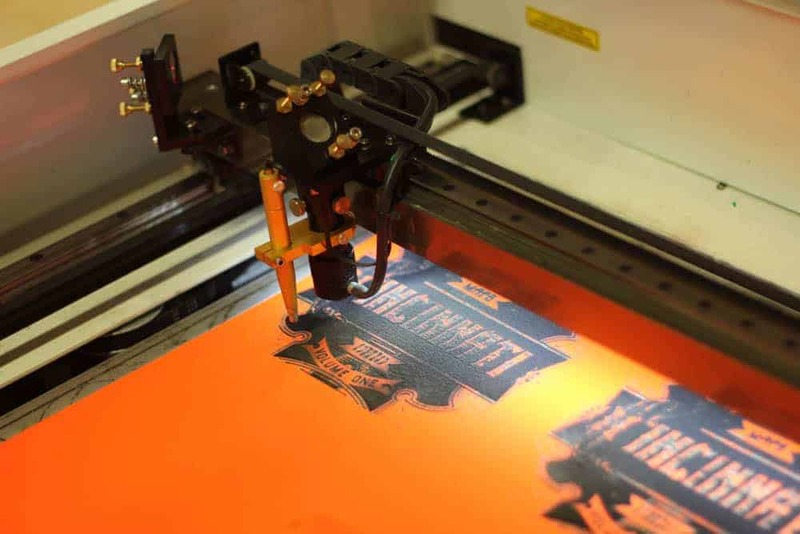 The laser cutter and engraver will work on glass, acrylic, plastic, or wood. You will need to bring in your own materials and they must be of the proper size (needs to fit into the machine). It’s probably best to go in and talk to someone and look at the machine before you head in to work there. I have some serious plans to meet up with this machine and create some cool Christmas gifts! Not quite ready to operate the 3D Printer or the engraver? 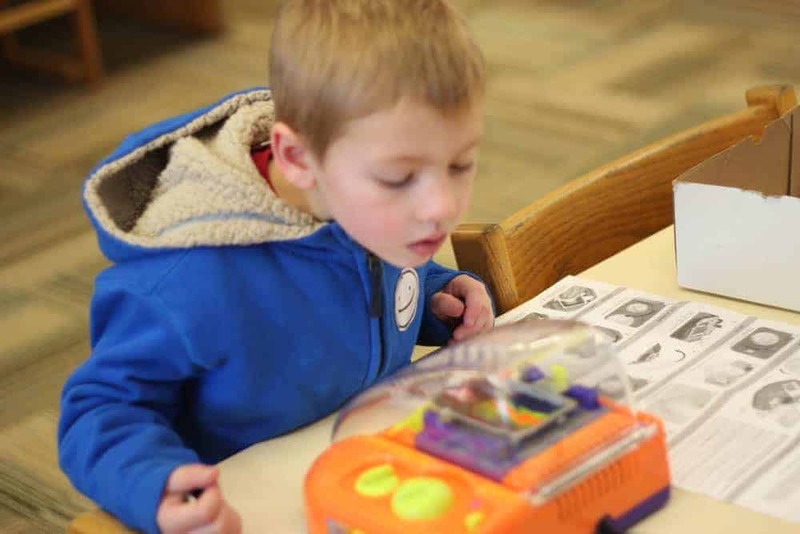 How about some fun at the Mini MakerSpace? Kids (4 and up) and adults alike will enjoy this space. Create all kinds of wonderful masterpieces from buttons to die cut letters and shapes. 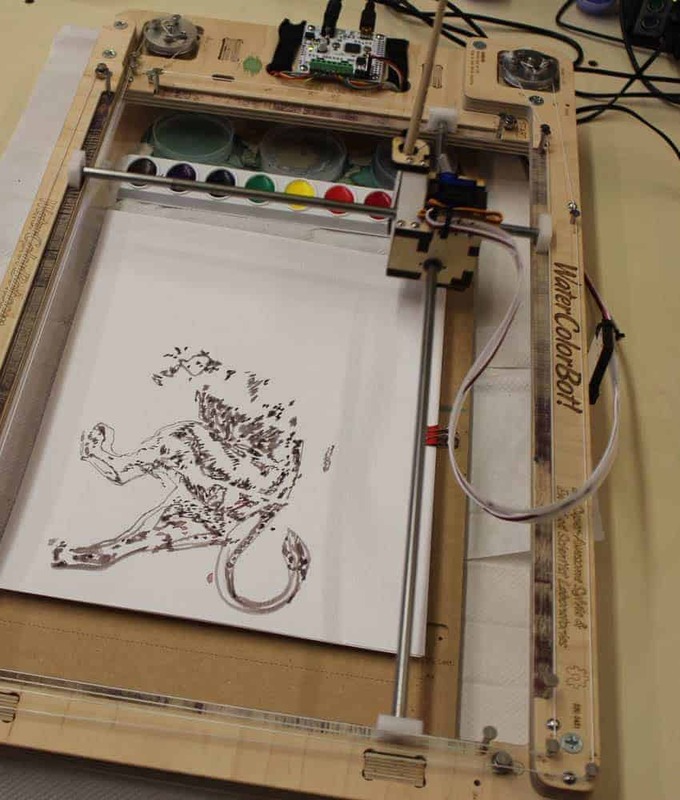 The Mini Makerspace has a crayon melting machine (mesmerizing, just see the pic above), a Silhouette Cameo, an Ellison machine, an Egg-Bot, and a machine that will take your computer generated image and transform it into a watercolor painting. 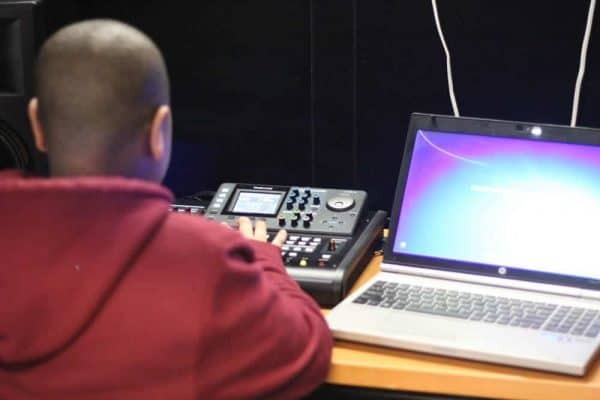 In addition to all of the equipment, they also have a number of computers for use for creative endeavours. Here you’ll find the full Adobe suite, ready to be used. They have a few large tables for collaborative work. They even have huge whiteboards on wheels for brainstorming sessions. From the initial spark to the finished product, this is a place where dreams come to life! Can you do a feature of kid friendly evening events? I would love to know what is going on a Friday or Saturday night that is for my teenagers and me to attend. How can we find out what classes will be offered, and when? do you need to be a cincinnati resident and/or have a library card to use this? Nancy, when I went through it a few months ago they said you do NOT need to have a library card to use it. There may be a hiccup if you need to pay for materials as I think you do that via a library card but they had a work-around for that. Do you know where I can find a list of the classes that will be held in the maker space during the summer 2016. I am trying to find some computer learning courses for my daughter who is 9 almost 10 years old and going into 5th grade in the fall. You can uncheck all of the boxes to the left of the grid and choose “Maker Programs” in the Event dropdown to isolate the events for Maker Space. The phone number for the library can be found there too. I hope that’s helpful.